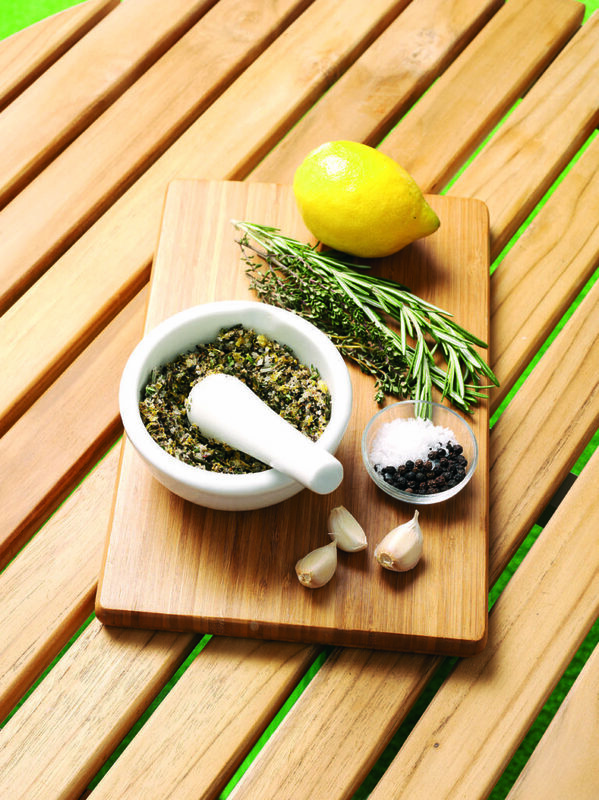 This lemon and herb rub recipe is zingy and aromatic, and adds a great depth of flavour to any chicken, pork, lamb or fish recipe. In a pestle and mortar, pound the whole black peppercorns, until roughly crushed. Stir in the Maldon sea salt flakes, the chopped fresh rosemary leaves and thyme leaves, the lemon zest and garlic cloves.